Nine Georgia Tech and Emory University biomedical research projects have been chosen to receive funding from the Coulter Translational Research Partnership Program. The $1.6 million in seed funding is intended to accelerate promising technologies developed in research laboratories with the goal of improving patients’ lives. This year’s projects include a rehabilitation device for children, a heart drug delivery catheter and a disposable kit that checks for anemia. The Coulter program, which partners with the Wallace H. Coulter Department of Biomedical Engineering at Georgia Tech and Emory, provides annual awards to research teams that develop products with great commercial potential and meet a well-defined health care need. Each research team pairs scientists or engineers with physicians. This year’s amount also includes $100,000 contributed by the Atlanta Clinical and Translational Science Institute. “We were very happy with the number of good projects we saw during this year’s funding round,” said Rachael Hagan, who serves as program director for the Coulter Translational Partnership Program. More than 50 applications requesting funding were received this year. AnemoCheck: a simple, disposable, handheld biochemical device that is inexpensive, accurate and provides a quantitative evaluation of anemia in less than two minutes (principal investigators: Wilbur Lam and Erika Tyburski). AngioCloud: cloud-based software that assists interventional neurologists with the selection and deployment of flow diverters for the treatment of unruptured brain aneurysms (principal investigators: Frank Tong and Alessandro Veneziani). Cardiovascular MR Imaging: method of uploading, displaying, and automatically analyzing cardiovascular magnetic resonance function, viability and perfusion studies (principal investigators: Ernest Garcia, John Oshinski, Gerald Pohost and Anthony Yezzi). InvisiCool: gel to alleviate heat-related pain while not otherwise affecting the effectiveness of laser treatments (principal investigators: Jeff Dover, Andrei Fedorov and Craig Green). KIDS: a low-volume, low-error continuous renal replacement therapy (CRRT) device for pediatric patients. There are currently no FDA-approved CRRT devices for patients who weigh less than 20 kilograms, and the KIDS technology is being developed to meet this unmet need (principal investigators: Shiva Arjunon and Matt Paden). Levit Catheter: a drug delivery catheter for localized delivery of therapeutic-seeded hydrogels to the pericardial space (principal investigators: Andres Garcia and Rebecca Levit). MitraPlug: a transcatheter implant that seeks to “plug” the fluid path, which is seen in patients with mitral regurgitation (principal investigators: Murali Padala and Eric Sarin). Nanocomposite Scintillators: an imaging replacement for current, expensive crystals (principal investigators: Brooke Beckert, Eric Elder and Jason Nadler). IC3D: an imaging silicon chip for Chronic Total Occlusion (CTO) procedures with improved visualization for physicians (principal investigators: Levent Degertekin and Habib Samady). These newly funded academic projects were chosen by a committee composed of Emory doctors, Georgia Tech biomedical engineers and technology transfer representatives from each school. The other half of the selection committee included industry experts, venture capital specialists, serial entrepreneurs and angel investors. In 2001, the Wallace H. Coulter Foundation made a $25 million grant to the Georgia Tech-Emory biomedical engineering program. 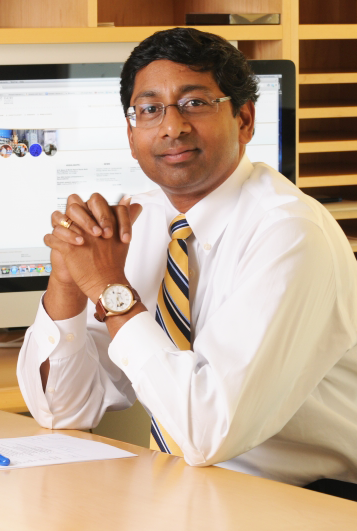 In recognition of this grant, the combined department is known as the Wallace H. Coulter Department of Biomedical Engineering at Georgia Tech and Emory. The department combines Georgia Tech’s College of Engineering with Emory’s School of Medicine. The grant also contains a $10 million endowment to provide ongoing funding specifically for translational research. Translational research is part of a continuum in which research findings are moved from a researcher’s laboratory to a patient’s bedside and community. Each year, co-investigators – composed of engineering faculty from Georgia Tech and medical staff and faculty from Emory – apply for commercialization funding that may lead to improvements in patient care. The Coulter Department is the Coulter Foundation’s flagship academic institution. The department’s graduate program is ranked number two by U.S. News & World Report. There are an additional 14 universities with Translational Research Partnership Programs supported by the foundation that include distinguished biomedical research institutions such as Johns Hopkins, Duke, Columbia, and Stanford universities.